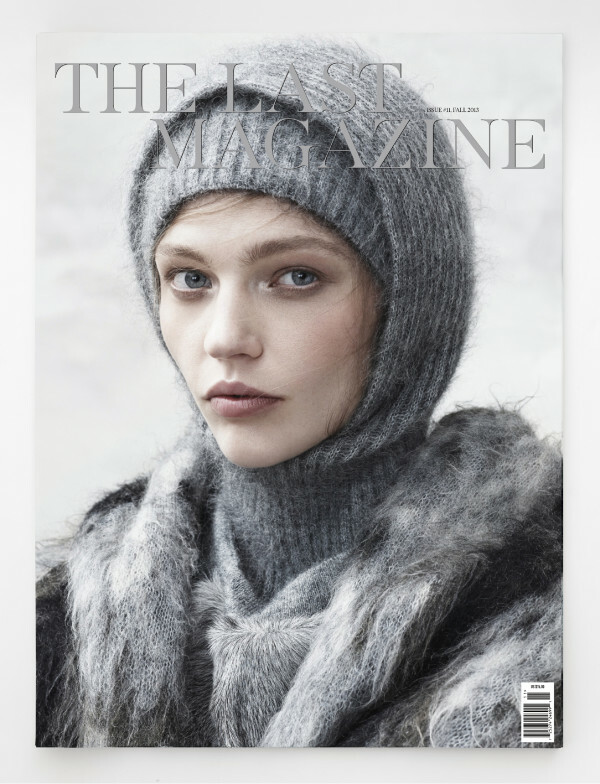 In the eleventh issue of The Last Magazine, cover model, mom, and artist Sasha Pivovarova braves the cold in beautiful wool knits, shot by Josh Olins. Features include Archy Marshall, better known as King Krule, on his album “6 Feet Beneath the Moon,” and how music can be the ultimate escape. Artist Hope Gangloff explains that playing and having fun influences her portraits of friends, and skier Mikaela Shiffrin humbly speaks about the necessity of consistency in training as well as her Olympic aspirations. Photography includes Lykke Li’s black and white travel shots and we go rogue, in an anti-glamor spread shot by Gregory Harris, Nathaniel Goldberg, and Mikael Jansson.